We have four loft suites in our complex. 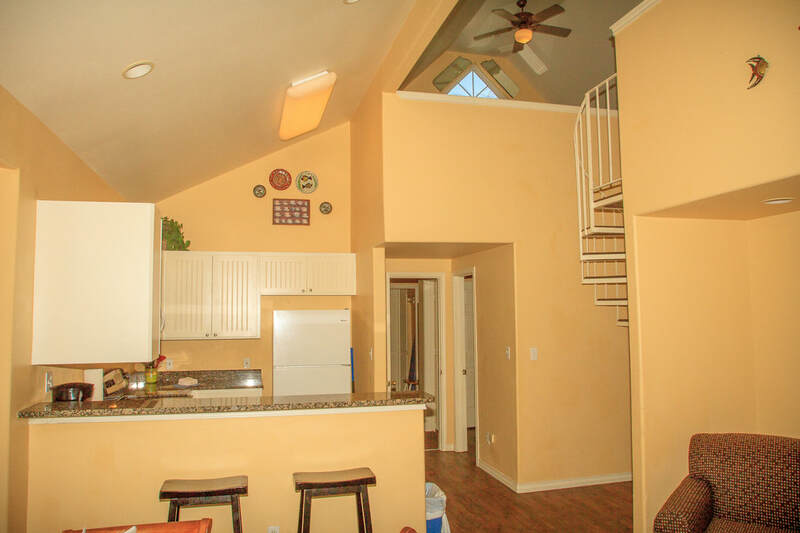 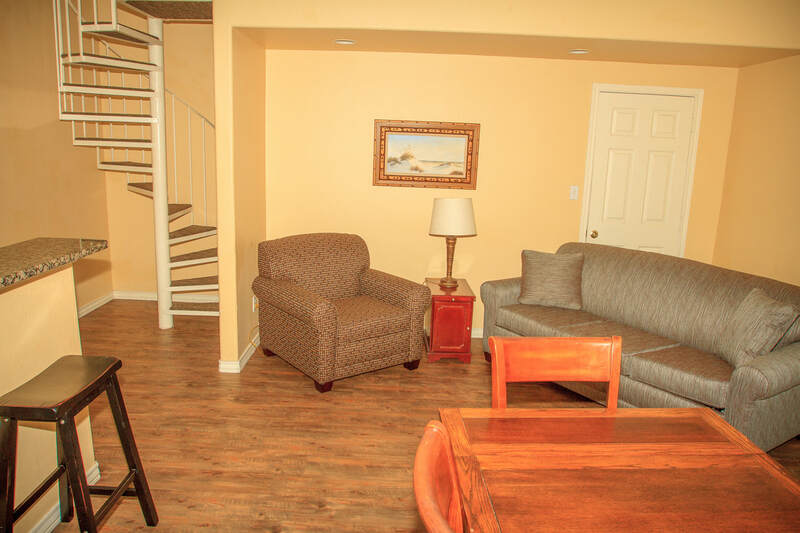 They are always located on the top floor of the building and each loft unit has two stories. Loft suites have two separate sleeping areas. 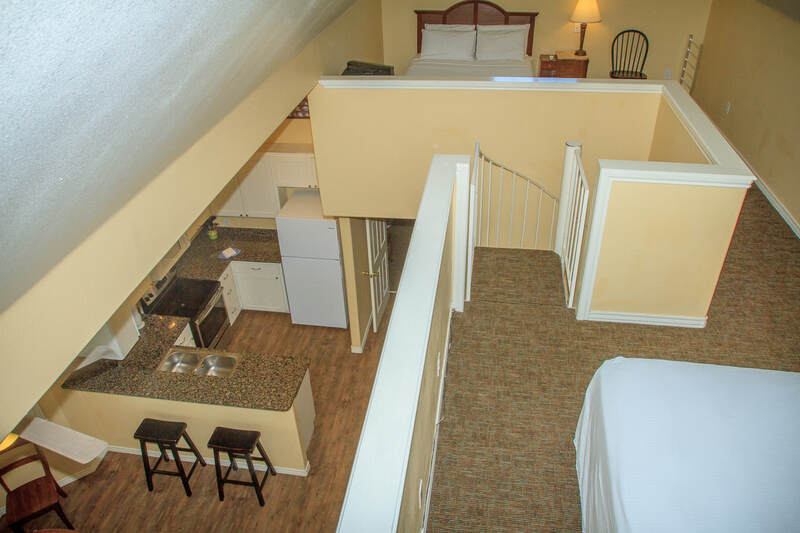 On the first level, a private bedroom has one queen size bed and the second level loft sleeping area has one full bed and one queen bed. 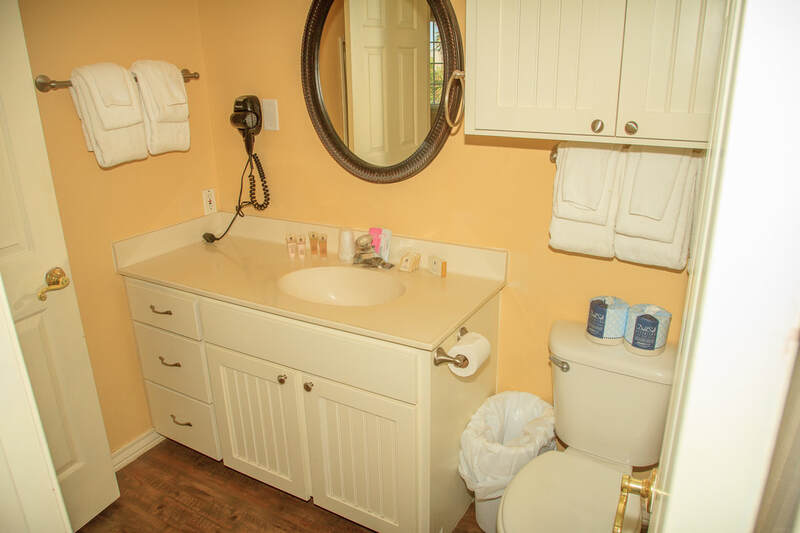 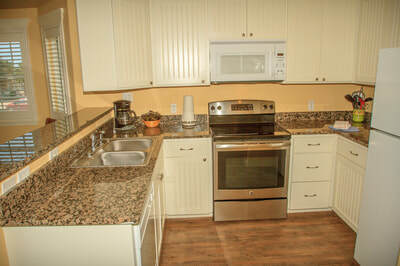 Loft suites have a full kitchen and one restroom, located on the first level.